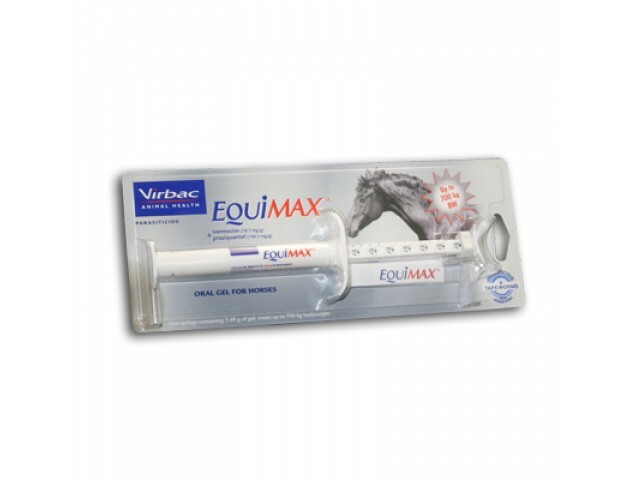 Equimax Gel is a wormer that contains Ivermectin & Praziquantel. One syringe contains enough gel to treat a 700kg horse. Pregnancy & Lactation- Safe to use during pregnancy & lactation. Do not give to foals less than 2 weeks old.